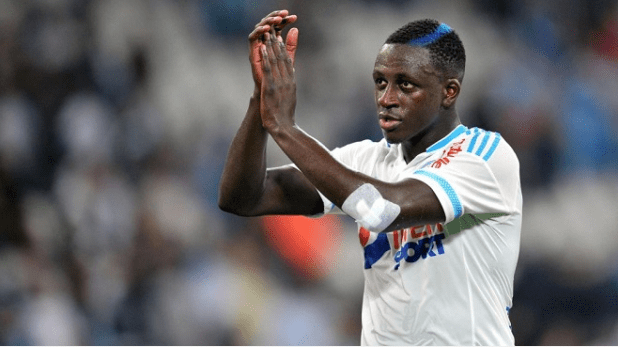 Home/News/Benjamin Mendy: enfant terrible of AS Monaco or not anymore? 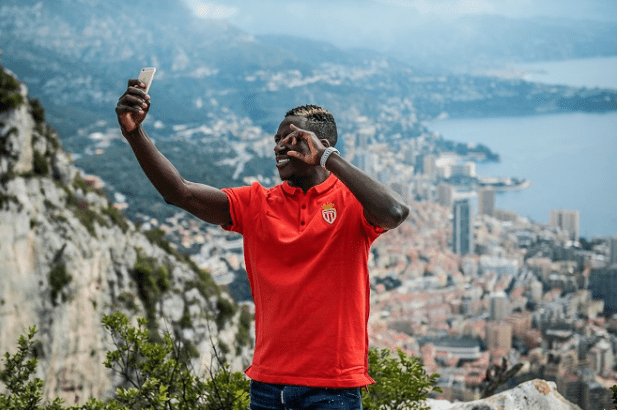 Benjamin Mendy: enfant terrible of AS Monaco or not anymore? To believe in Benjamin Mendy, you must love to take an emotional ride. Benjamin Mendy is 22 and like all kids of his age, has some weaknesses, but he has a quality that is rare in his environment: honesty. When asked about the goal against CSKA Moscow, if his cross was destined for the Colombian, he says, honestly: “Actually, I wanted to pass it to Valère,” he smiles. He didn’t always have a smile on his face. His life has not always been amazingly simple. We remember his arrival in Ajaccio last year, where before a game against Gazelec he was attacked by a Corsican fan in front of cameras. That night, words were terrible and included insults of his dead mother. This all took place in front of witnesses. Mendy reacted later in his Twitter account, naturally offended. It must be said that the young defender was often making sceens right from his first games in the SU Paraisseau, in his home Essonne, where he started as a forward. At 16, Mendy joined Le Havre, launching his professional debut in 2011. The player Benja was only 17 and was already faster than everybody. Physically, the defender was extraordinary. We always talked about an above average potential. After his big performance against CSKA Moscow, Leonardo Jardim was pleased to see his defender in finally shape and said this: “He was a good player when we bought him; we knew he was not ready. He had a very long way to go. And I’m sure he will reach a very high level in the future.” To believe in Benjamin Mendy, you must love to take an emotional ride. A left-footer, he dominates the left side during practice. With each acceleration, he dig his feet into the ground like a sprinter, his left foot sprays the opponent’s goal over and over. With him, Falcao and Valere Germain have a lot of good passes of the ball. And he didn’t stop in the game with Moscow. It has been his first big game. Will we be tempted to say that it was not for nothing that the football club “Olympique de Marseille” put 35 million on him in 2013, at age 19, through something called the “Dortmund Project”, which involves finding youngsters with huge potential to train and sell them for a profit. After a difficult first season, with many delays in training and nights playing video games, the player transformed with the help of the coach of “Olympique de Marseille” Marcelo Bielsa. In his frank interview to ” ObjectiveMatch” on OMtv in december 2014 Mr. Bielsa said : “If Mendy integrates well, he will become one of the world’s best. But there is no certainty. I would be the happiest man in the world if he becomes the best! For 40 years I’ve been around players, and if you want to be the best, speak with them and you will absorb their experience”. Michel, the coach of “Olympique de Marseille” after Marcelo Bielsa, who took Mendy under his wing last year, said about Mendy the following: “He’s a child. It is his world. He has many qualities but he must implement them, otherwise someone else will step up with less talent but more drive and will take his place”. Benjamin Mendy battles the demons of youth and his profession: he loves late nights out, friends and does not follow the schedules. A life that seems to irk Michel: “I think you should ask Mendy why there so many physical problems. It forces the coach to make changes early.” But it seems that the boy who hung out in Marseilles with local rapper Jul, to the point of being featured on a video that accumulated 11 million views on YouTube, had reached the point where he needed calm, serenity and peace. With AS Monaco team Mendy has found what he has looked for, including good friends like Bakayoko. Mendy belongs to this cast of players who “needs to be loved” in order to reach great success. In the club with strong team spirit and support, Benjamin Mendy is in the perfect place to give meaning to his career.